The red carpet of the 2015 iHeartRadio Music Awards at the Shrine Auditorium, Los Angeles, California on March 29, 2015. Taylor Swift looked downright fab with her shoulder-length waves and full bangs at the iHeartRadio Music Awards. Actress Jena Malone attends Coach Backstage at SOHO Desert House on April 10, 2015 in La Quinta, California. Jena Malone sported a short layered cut with side-swept bangs at the Coach Backstage event. Hairstyle of Half Up Half Down - Ella Henderson. 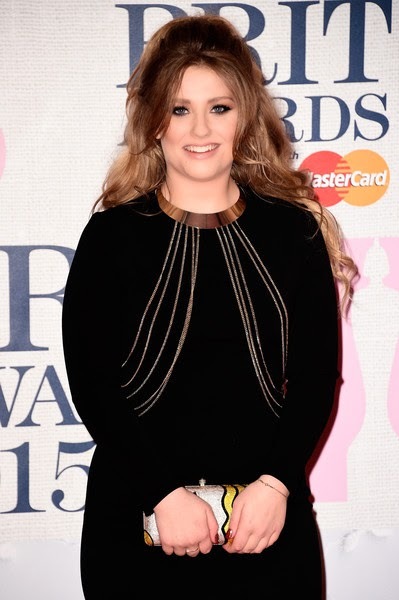 Ella Henderson attends the BRIT Awards 2015 at The O2 Arena on February 25, 2015 in London, England. Ella Henderson finished her BRIT Awards look with a partial updo. Hairstyle of Medium Wavy Cut - Baily Noble. Actress Baily Noble attends HBO's Post 2015 Golden Globe Awards Party at Circa 55 Restaurant on January 11, 2015 in Los Angeles, California. Baily Noble looked oh-so-pretty wearing her hair with gentle waves at the HBO Golden Globes party. Hairstyle of Long Center Part - Hilary Duff. Actress Hilary Duff attends the 2015 Weinstein Company and Netflix Golden Globes After Party at Robinsons May Lot on January 11, 2015 in Beverly Hills, California. Hilary Duff attended the Weinstein Company and Netflix Golden Globes party wearing her hair with a center part and just a hint of wave. Hairstyle of Pompadour Alyssa Milano. Actress Alyssa Milano attends the 2015 Weinstein Company and Netflix Golden Globes After Party at Robinsons May Lot on January 11, 2015 in Beverly Hills, California. Alyssa Milano looked elegantly funky wearing this pompadour at the Weinstein Company and Netflix Golden Globes party.